This is a real conversation I once had with a trusted elder who was genuinely concerned that a new member of our church, and a long-time personal friend of mine, was some sort of wolf in sheep's clothing. (Name was changed to protect the innocent.) He was wrong in his discernment. It happens. And the gentleman of concern ended up becoming a good friend to this spiritual leader. 1. 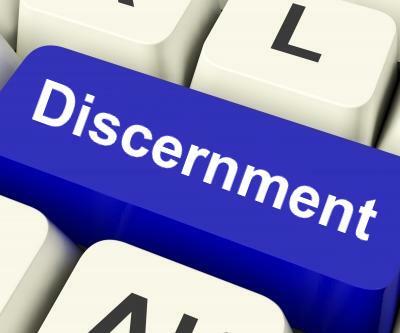 Don’t mistake discernment for suspicion. 2. Understand that the different ministry gifts are different for a reason. Are you ready for this? The five primary ministry gifts denoted in Ephesians 4 are different. They certainly can work together, but they are very different in their primary motivations. Pastors are not prophets. Prophets are not pastors. Apostles are not teachers. Evangelists are not pastors. Teachers are not pastors. I did not say that a pastor cannot function prophetically, or that a prophet cannot “do the work of an evangelist.” But understand…these gifts are very different. Pastors (poimen) are shepherds. They are care-givers, lovers of sheep; nurturers and exhorters. Pastors love to lead and feed. Prophets tend to be…well…prophets. At least the real ones do. A sharper word, sometimes of warning of correction. The Old Testament prophets typically had one message: “Repent or die!” My experience is that true prophets tend to be loners, not typically people-oriented. They are message-oriented. Apostles are pioneers, breaking up fallow ground and plowing new fields. My first youth pastor hire was a powerful young man of God. When he preached, the anointing was palpable. He was passionate about “going into the highways and byways” and ministering to the most helpless. I loved being around him. But he had little patience for the church. He felt most church people were self-absorbed and not as passionate about reaching the lost as he. He wasn’t necessarily wrong…but he also wasn’t a good pastor. I was cleaning up a lot of messes. I told him one day, “Dude, you are John the Baptist. You’re out in the wilderness crying, “Repent!” wearing funny clothes and eating strange things. We need those prophetic/evangelists in the Body. But we also need the church to take care of those new converts when they come to Christ. I could go on and on illustrating the differences. My point is that we need to recognize the differences and appreciate them. Prophets usually make terrible pastors. They can clear out a church quicker than anyone. They tend to break legs rather than mend hearts. Apostles are usually so forward-focused that tending existing sheep is very difficult for them. I remember telling a very prophet-gifted church member: “There is no way I can pastor these people the way you see them.” He chuckled. He understood. The Father spoke to me one day: “Don’t ever pastor my people paranoid.” I knew exactly what He meant. Never look at new people who walk in the door as potential problems with huge amounts of baggage. Look at their potential and what they are about to become. See the gift inside each of them. Yes, they may be wounded or broken, but Jesus came to heal them. The God who saves and heals them is the same God who deposits precious gifts within each. The very people that others have labeled as “trouble” will become the greatest blessings of your ministry. Pastors, drop the paranoia. You’ll never get anywhere with it. 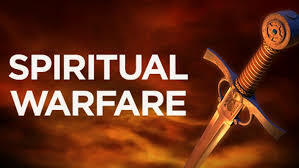 It will alienate you from some incredible gifts from God. Being a perpetual victim is not an appealing character trait. However, don’t let the pendulum swing too far the other way and throw the mantle of “pastor” onto everyone who walks in the door. The ability to Google search a Greek word does not constitute a degree in Theology. Find the balance. Seek the gifts in others. Be life-giving. Watch God do incredible things!